A Fairfield man remains held on $50,000 cash bail after his arrest Tuesday morning during a drug raid on his home. Somerset County Sheriff Dale Lancaster said Christopher M. Chrysler, 32, was arrested and charged with aggravated trafficking of a scheduled drug, a class A felony, and possession of a scheduled drug, a class C felony. Additional charges are possible once the case is reviewed by the Somerset County District Attorney’s Office, Lancaster said. The arrest occurred about 5:15 a.m. Tuesday when the Somerset County Sheriff’s Office executed a drug search warrant on Mountain Avenue in Fairfield. Detective Lt. Carl E. Gottardi II led a team of four sheriff’s deputies, two Maine drug enforcement agents and three officers from the Fairfield Police Department. The search was carried out without incident, Lancaster said. During the search of Chrysler’s home, about 12 grams of heroin, digital scales, drug packing material, drug related documentation, and drug-related paraphernalia were found and seized. 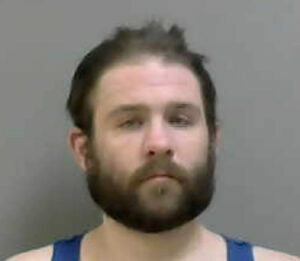 Chrysler was taken to the Somerset County Jail in East Madison. He is being held in lieu of $50,000 cash bail. Chrysler is scheduled to make his initial court appearance May 15 in Somerset County Unified Criminal Court. “This continues to be an ongoing investigation related to heroin allegedly being sold from residences in and around Somerset County,” Lancaster said in a news release.